5. Check for any soapy spots you may have missed. 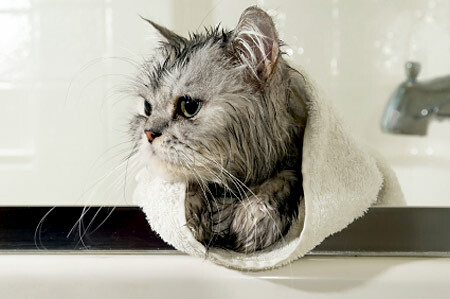 Shampoo left in the fur may cause skin irritation, or your cat may get from licking the shampoo off. Do a careful check under your cat’s chin, it’s feet, under its abdomen, etc. And then consider giving your pet -- and yourself -- a treat. You both deserve it.